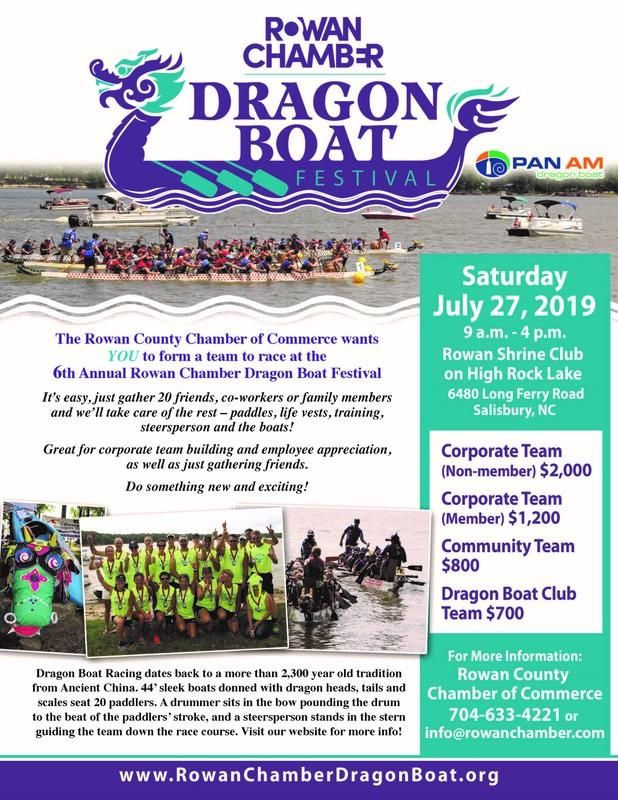 Did you know that the annual Rowan Chamber Dragon Boat Festival is the largest event held on High Rock Lake? This is a family friendly event and is held on the last Saturday in July. The festival invites families to watch, enjoy the food, music and festivities, or you can participate as a team, or even individual. High Rock Lake Association will have a display/info tent at the event. Please stop by meet some of our board members, and learn more about the membership. If you are a member and want to volunteer on Saturday, July 28th, please send an email to HRLA@HRLA.com. Rowan Dragon Boat Festival will be a fun day for the whole family!